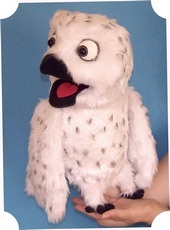 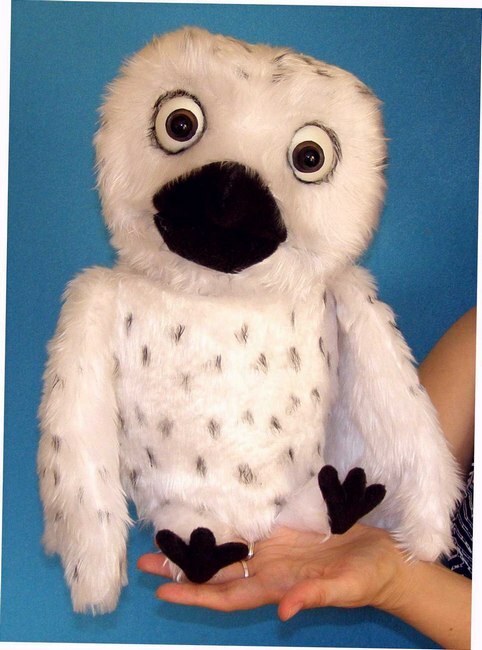 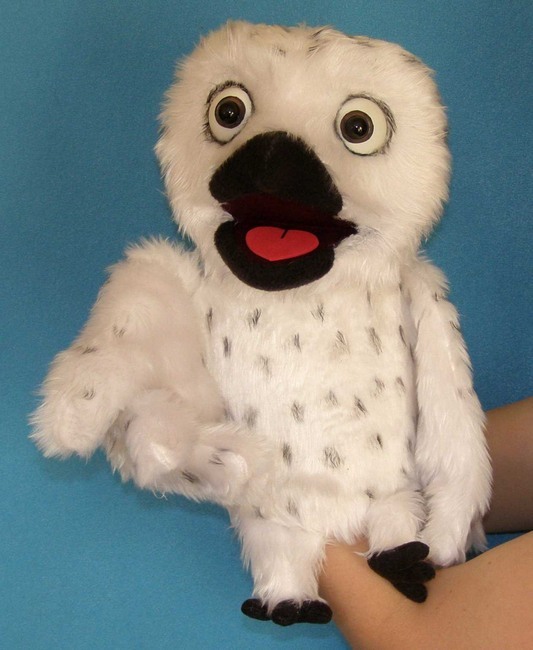 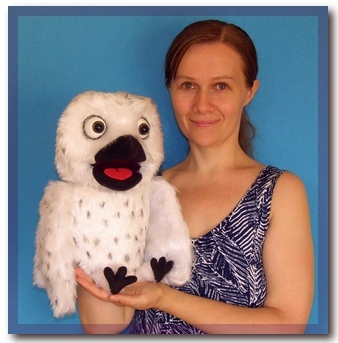 Snowy Owl, professional foam puppet. 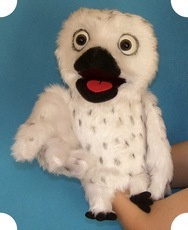 15" (39cm) tall. 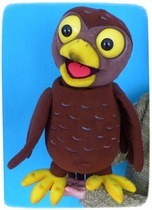 Weight is 0,5 pound (0,25 kg). 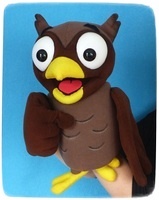 The wings are "live hands" style. 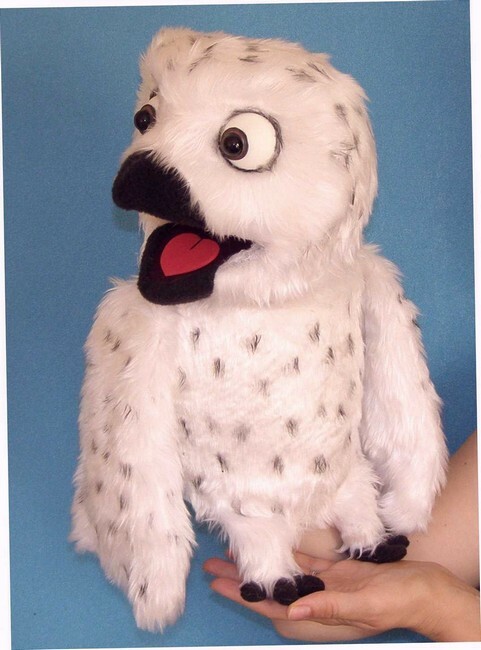 This puppet is made out of foam and covered with faux fur and fleece.